Banks Renewables, a Scottish renewables developer, has appointed a Hamilton headquartered drilling firm, Raeburn Drilling, to help it deliver Kype Muir and Middle Muir Wind Farms. 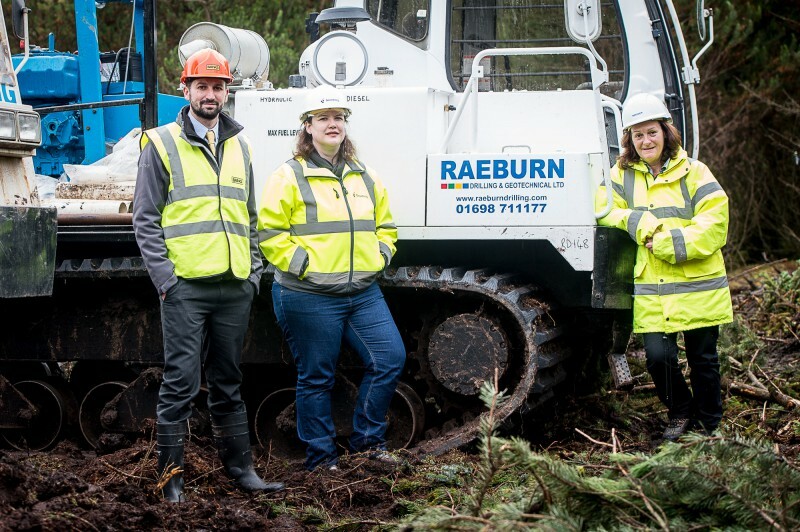 Raeburn Drilling, a family owned drilling and geotechnical business, will carry out detailed testing of the rocks and soil at both wind farm sites, primarily to help determine settlement and the specifications required for the wind farm foundations. The appointment of the local firm follows last year’s launch of the Connect2Renewables Charter (http://goo.gl/kFLd8C), which sees Banks Renewables partner with South Lanarkshire Council, committing a minimum of £69 million to the local economy and communities in the area. The Charter also prioritises local businesses in the supply chain and – through a dedicated job fund (guaranteed for the first five years) – is set to support around 457 local unemployed people back into work, training or further education, during the construction and early operational life of the Kype Muir and Middle Muir Wind Farm projects. Raeburn Drilling & Geotechnical Ltd is a premier Contractor leading the way in Wind Farm Ground Investigation. Established for over 30 years, it is headquartered in Hamilton, with labs and satellite operations in Aberdeen, Chesham, Birmingham and Airdrie, employing around 180 full-time staff. 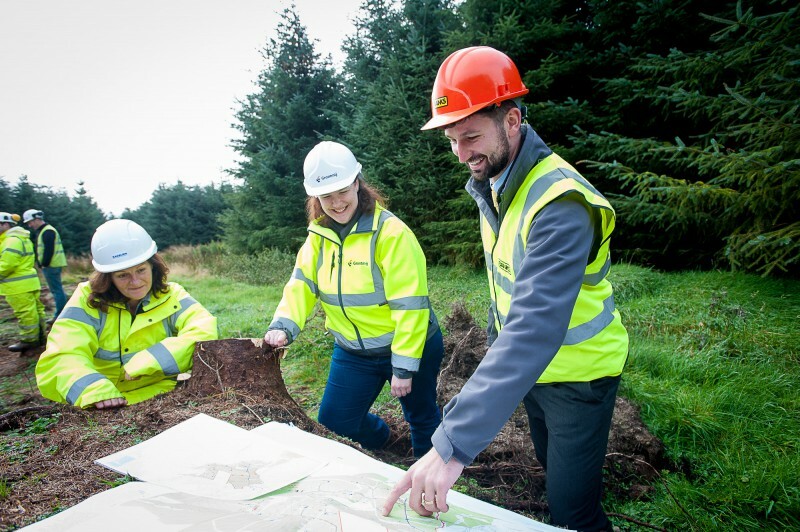 CEO of Raeburn Drilling and Geotechnical, Anne Baxter, said: “We are understandably delighted to be able to help Banks Renewables deliver on these two hugely exciting South Lanarkshire projects that are set to make a real difference to the region. “It is plainly evident when dealing with Banks that there is a genuine commitment to the local area, something that we hold dearly ourselves, providing sponsorship and support to local groups, and partly why we were so keen to be involved from the start of both the Kype Muir and Middle Muir projects. “Through the contracts gained, we have been able to take on apprentice drillers and it has also helped us create new graduate positions with the firm. That alone shows that these projects are making a difference in South Lanarkshire. Kype Muir Wind Farm, located just South of Strathaven is a 26 turbine 104MW Wind Farm and was approved in May last year, followed in September with the approval of Middle Muir Wind Farm, North of Crawfordjohn, which is a 51MW, 15-turbine project set to deliver the tallest onshore turbines on mainland UK. Development director, Colin Anderson, said: “I am personally thrilled that these truly transformative projects – set to contribute to a job and training fund totalling £1.74m, supporting 400 plus local unemployed people into work, education or training – are beginning to take shape. “What is especially pleasing is that even before the sites are operational, we have been able to utilise the services of an expert local firm in Raeburn Drilling, who have themselves been able to take on more staff as a result of the substantial contracts. Banks Renewables is part of the Banks Group (www.banksgroup.co.uk), a family firm founded in 1976, which now employs approximately 400 people in the renewable energy, property and mining sectors. How can our award winning PR team help your business?